Small specimens of Azurite and Malachite from Morocco, available in a range of sizes. Azurite and Malachite specimens from Morocco. These are small blue crystal and green Malachite formations on a matrix backing, available in a range of sizes. Sometimes these pieces may include gypsum crystals too. These specimen pieces have great colours – primarily blue Azurite, but with nice bands of green from the Malachite too. Our supply of the larger pieces is intermittent – if you require it urgently, please contact us in advance! 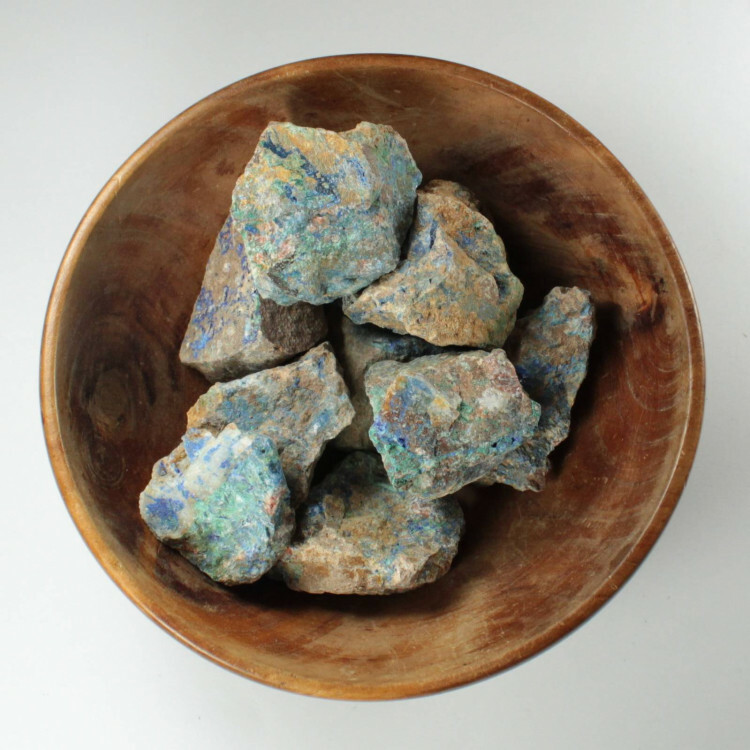 For more information about Azurite, and a full list of all our related products, please see our main ‘Azurite’ section. Same goes for Malachite – if you’d like to know more, please have a look at our main ‘Malachite’ section. This is my first Azurite and Malachite Specimen and it is gorgeous. I will definitely be buying again. Very pleased!